Today it’s Bunny the large, tail-less rescue cat who is on my mind. 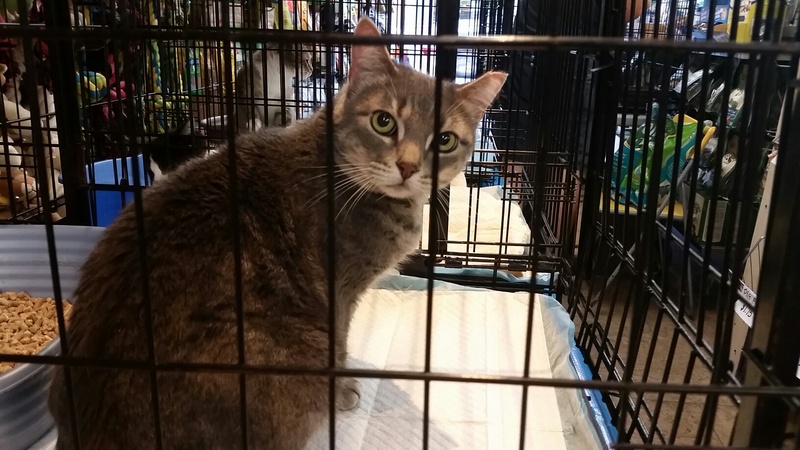 I met her at NYC Pet Saturday. She is so affectionate. I wish I weren’t allergic! Bunny has been living at Empty Cages Collective for a few weeks now. I’d love it if one of you would go and make her yours…so I can visit [before going home to sneeze and itch]. I think you helped with a good deed, Jen. Yay for everybody who rescues!